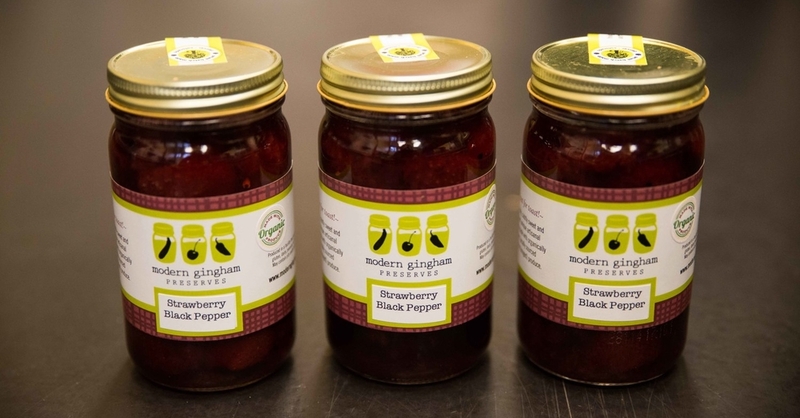 A neuroscientist gone canner, Modern Gingham founder Kathy Lee's curiosity was inspired by the preservation heritage of her husband's family. 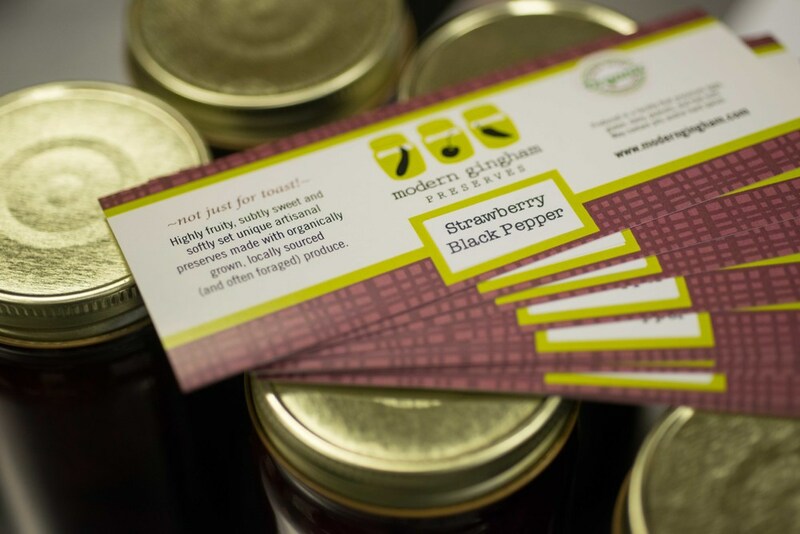 Now, she puts out jars of fruit jam foraged from the bounty of local organic gardens, farms, and your neighbors unpicked abundance of plums or sour cherries. 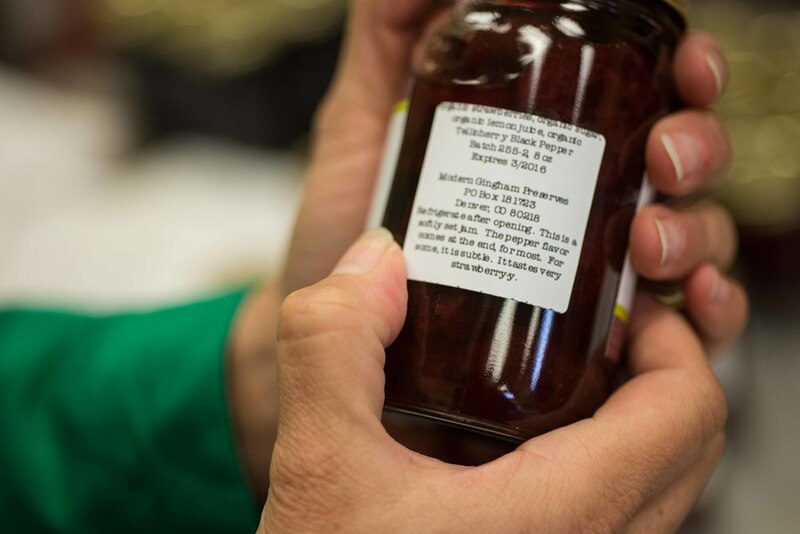 With the blessing of countless fruit tree owners, the diversity of Colorado's agricultural treasures are conjured into a delicious roster of flavors made just for you. What does MODERN GINGHAM mean to you? It started as a dream passion project and it’s become something really different. At the end of the day, I want it to be an ethical and authentic business, meaning that what I’m doing is important. Originally it started with this idea that I would just use foraged fruit, and that’s impossible. The season is too reactive to have a business that depends on local fruit and people giving you permission. On the other side, I still think it’s important for a Colorado business that depends on using its Colorado-ness as a point of sale to use Colorado produce whenever possible. I made the choice to spend a little more on printing, but it’s locally printed. 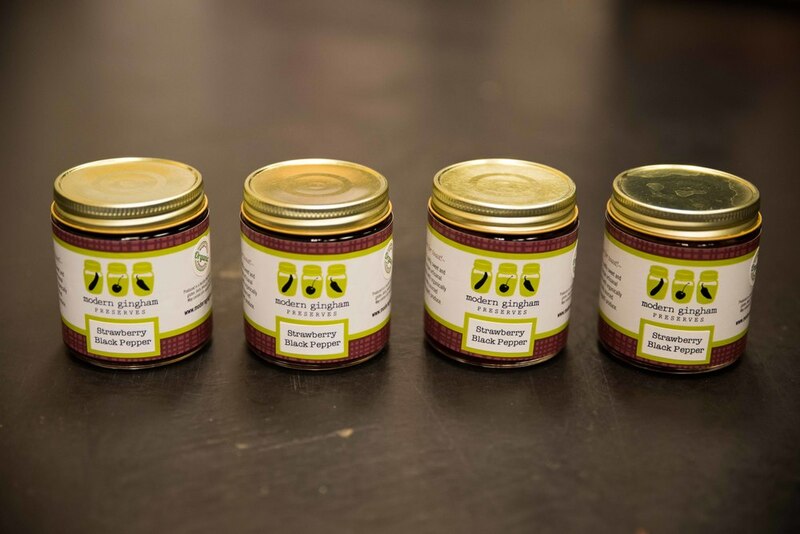 The jars aren’t manufactured here, but I use a local business to bring them in. 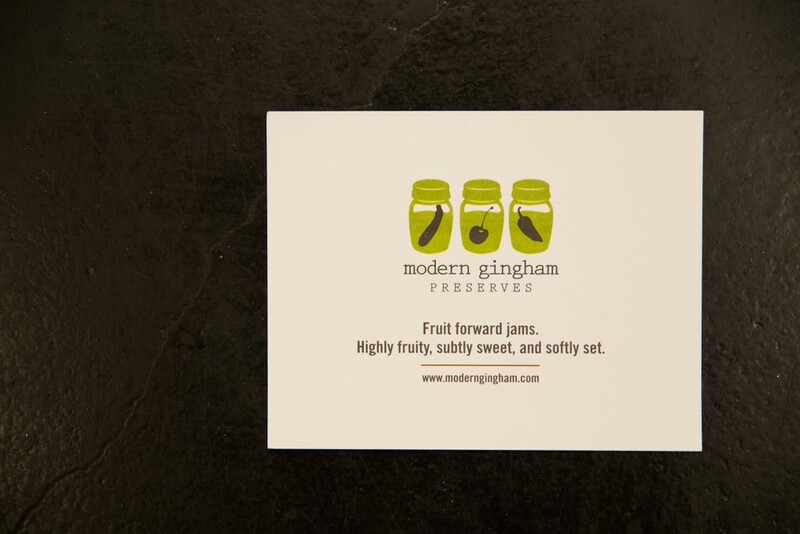 I wanted Modern Gingham to be a really great jam that would sell countrywide, but I also wanted to emphasize that it’s coming from an important agricultural state with beautiful fruit and made with modern sensibilities in mind. 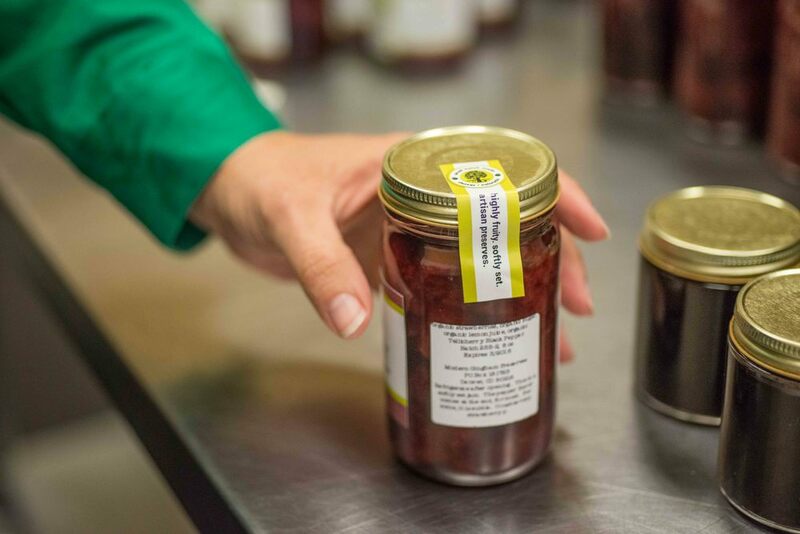 Colorado-foraged, jams and jellies made in limited batches. Special, season-dependent flavors for the inner gourmand. Sensible packaging that supports local businesses. What’s your history with the art of preserving, and where did you get your start? I was getting a PhD in neuroscience and I met my husband—he grew up in London, and they were a big preserving family. It was a way of life there. When I first met them, they had a wall of preserves that probably dated back to the late 80s, and this was the late 90s. I thought it was adorable, really—but back in Chicago where I was finishing school, there was this wonderful farmer’s market in Evanston where you could get these beautiful heirloom apples from Wisconsin. I started with applesauce, using these apples that you could never find at a grocery store. When you’re in science you get so focused on one question—the reality is, it’s easy to lose the forest for the trees. I started preserving because I thought it was ‘cute,’ and it quickly became a hobby that gained intensity. 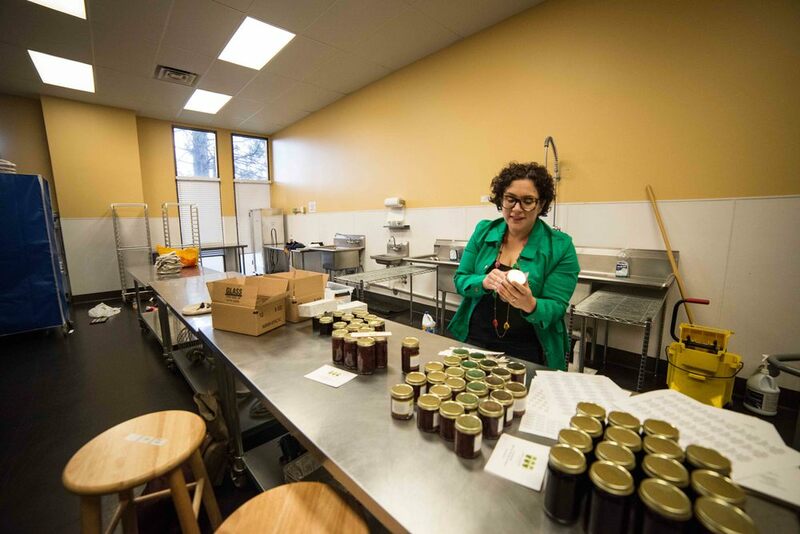 When we moved to Montreal, there was a fairly large community of people making jams—there, it was just practical. It was a large agrarian but urban community that had a ton of farms nearby that grew beautiful things intensively in a very short period of time. So you take what you can when it’s in season, and you save it to last throughout the whole year. It became a different mindset. What WAS THE FIRST LARGE-SCALE FRUIT PURCHASE YOU EVER MADE? what helps you stand out from your fellow preservers and picklers? 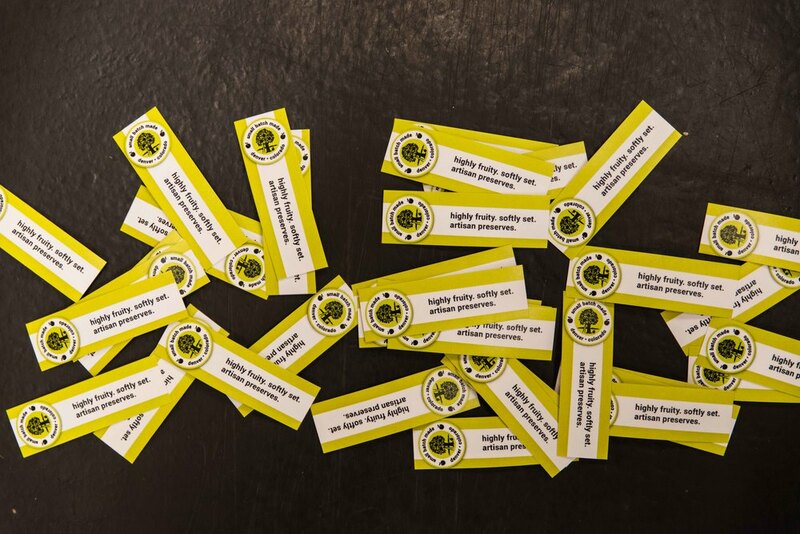 The more people that do this, the more it brings attention to small-batch, gourmet goods. My goal has always been to be one of the best, so the local competition becomes less important when you realize how much national competition there is. People have choices, and truthfully, I made the choice that I wouldn’t be a disruptive force to the large jam companies, so the only way that I can be notable is by being better. That’s what I shoot for, that’s my goal—I would say that the market always makes room, but the best always stay around. You’ll never be the only one. Modern Gingham for me has become a really boutique product. I don’t make only a couple of flavors, I make a lot, and there are challenges with that. I have advocacy from small specialty stores around the country because it’s an exclusive brand, so for me, that’s where I feel I stand out. I used to go on walks when I was pregnant, and I ended up seeing a lot of fruit trees in my neighborhood when it was early in the season. When I got more into it, I found the Denver foraging map, and I would leave notes at people’s houses who had fruit trees to ask if I could harvest some of their stuff. Most people don’t pick. I walk alleys because I want to see what’s growing around people’s yards—now my boys go with me because they’re lower to the ground. When I want little time on my own, I’ll put on my music and walk and see what’s growing—white peaches, grapes, elderberries—there's so much if you look. So you take what you can when it’s in season, and you save it to last throughout the whole year. It makes sense, and it became a different mindset.